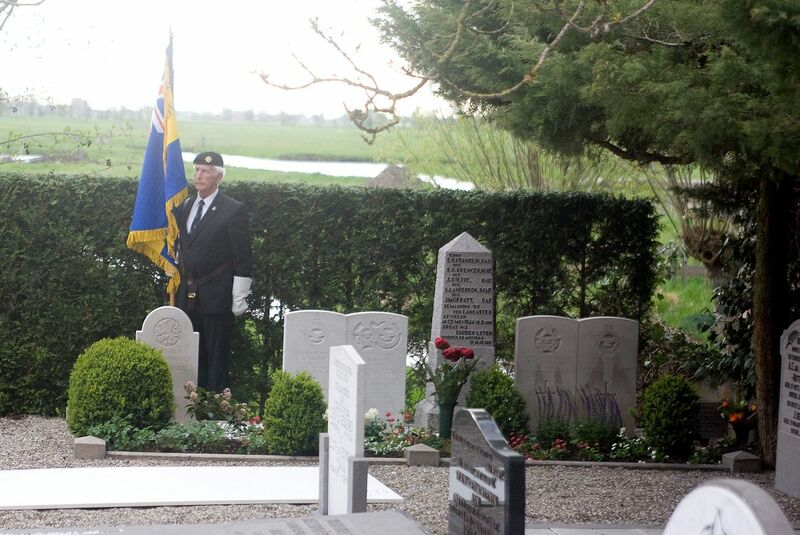 Photos below from Memorial Service held May 4th 2013 in Goudriaan, Holland. Click on photos to view full size. See story below. 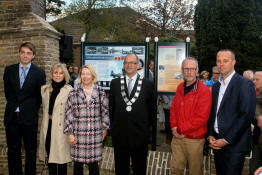 Many people came to the memorial unveiling. Nearly every May 4th there is such "crowd." 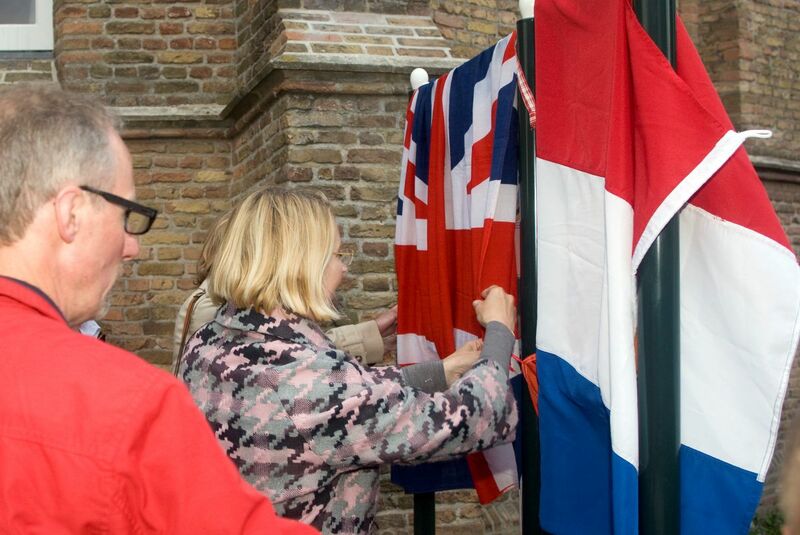 Hanging the wrathes and laying the flowers. 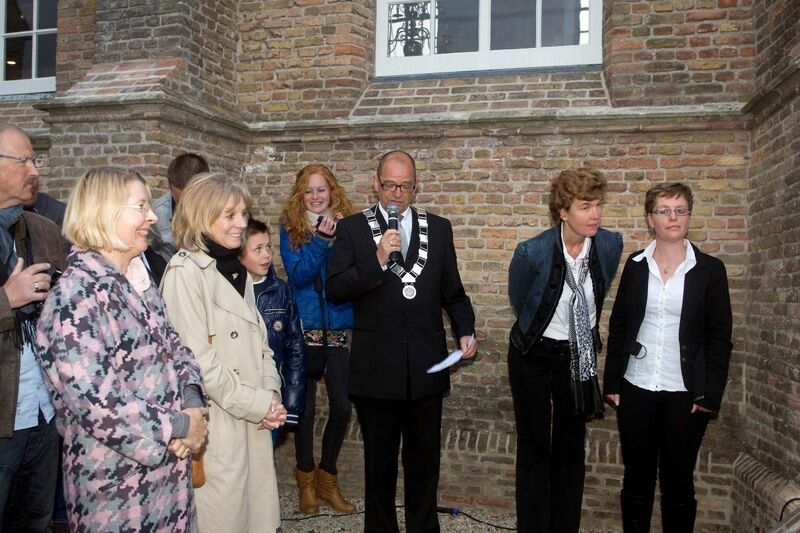 Left to right - Plil - Eileen Walker - Jerome - Mayor. 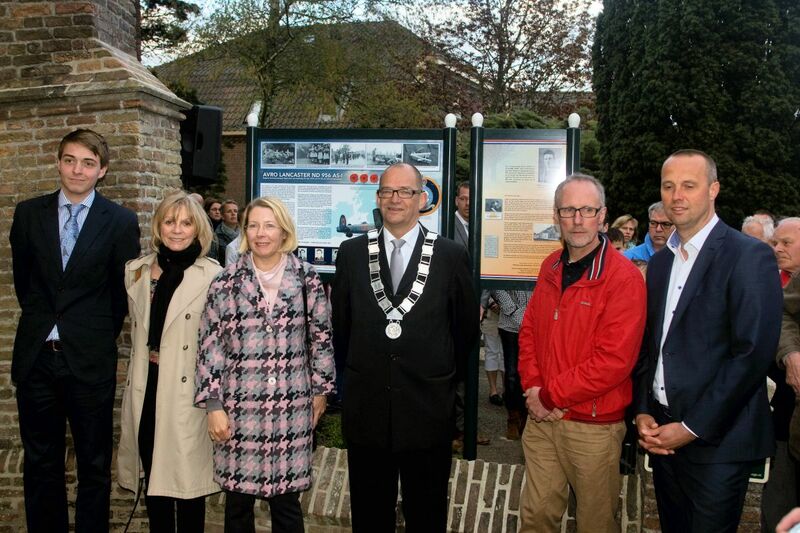 Jerome, Eileen, Phil and Mr. Vat the Mayor and the two grandsons from Klaas Jongeneel in front of their own memorial. Unveiling: the Mayor, Esmeralda and Greet. 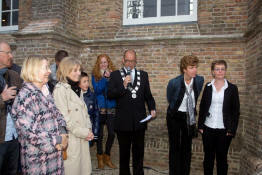 Esmeralda is the chairwoman and Greet is the secretary of the "Oranjevereniging", responsible for the organisation of this remembrance. The two British ladies busy with the unveiling of the memorial. Eileen, left, in front of the memorial. 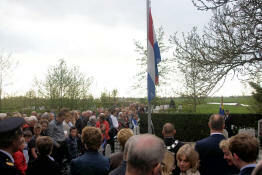 On May 4 the people of Holland hold their Commemoration Day to remember all the victims of the World War. Local newspapers had the story of James death but it only appeared a year later possibly due to not being confirmed at the time. 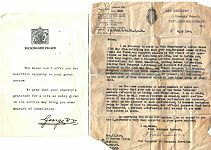 Our David Kiltie contacted James’s niece Eileen Walker who supplied an original photograph which was duly sent to Andries. He replied to everyone who had helped, “Mission accomplished!! “I think we all did a wonderful job, helped by technical things such as computers. 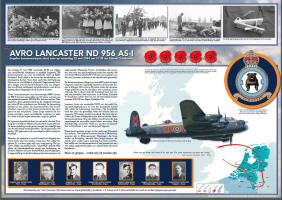 We all together were able to make it possible to create a memorial for the heroes of the Lancaster ND 956 AS-I. “Without your help I should not have been able to make a memorial half as good as we have now. 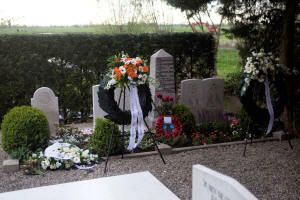 When they asked me to help with information about this memorial the “youngsters” did not know I had much material and information about this tragic crash. 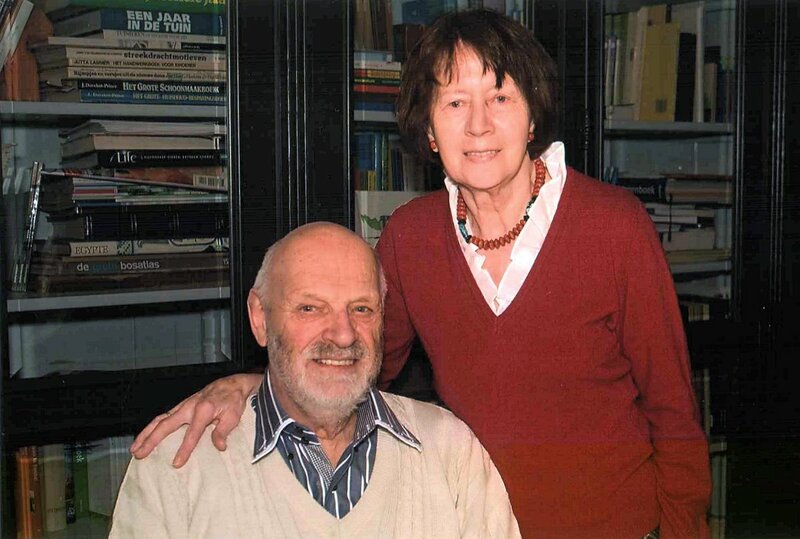 When Andries van der Graaf wrote "I am Andries van der Graaf, age 77, retired Chief Inspector of the Police of the Netherlands and a little desperate .." I decided that this was indeed a very urgent call. 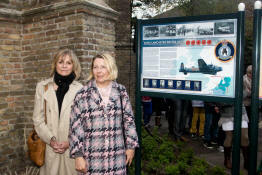 The urgency was that a monument was being unveiled in Goudriaan and Andries was missing two photographs from the crew of ND956, AS-1 Sqn 166, shot down on May 22 1944. However, he would never know the enormous work and dedication that so many of us were willing to go through to find those photos in answer to his plea. 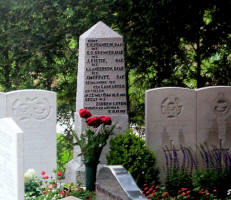 Thanks to our team effort we managed to find the missing photo of Bruce Forrester Bird, who had survived the war thanks to hard work and some professional help, and then we turned our attention to James Kiltie as the thought of a lonely dark silhouette instead of a picture at the gravesite in Goudriaan seemed so sad and not an option for a fallen hero. Time was not on our side though as the unveiling was imminent. Howard Heeley, Neil Webster and myself all went to work. Through the basic available information, we learnt that James Kiltie was probably from Maybole in Ayrshire Scotland as the War Memorial in the town centre listed two James Kilties. 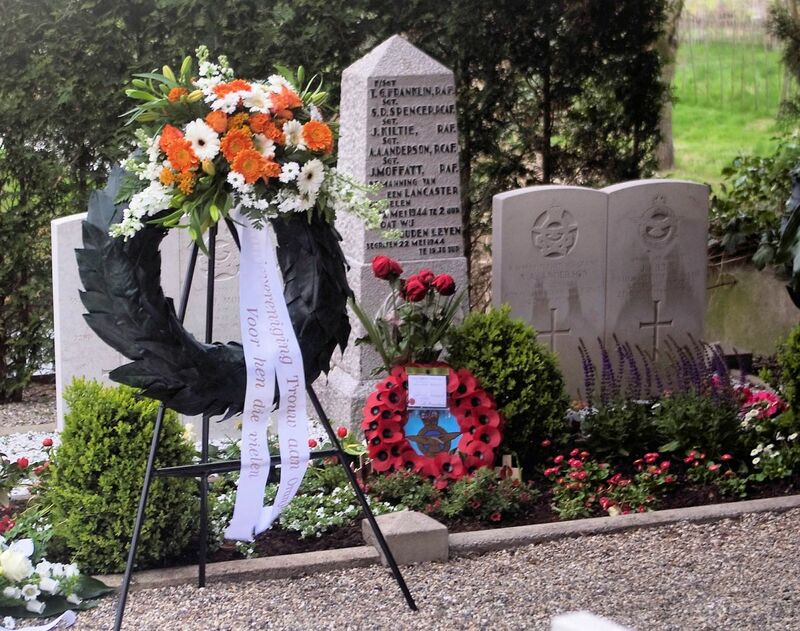 Both father and son were apparently killed in WWII and we were quickly able to identify that one was indeed the James Kiltie from 166 Sqn. So now we knew that he was connected to Maybole but that did not help us find a picture. This experience was a stark reminder that there are thousands of monuments around the world dedicated to our fallen heroes, however, there is no guarantee that there will be any more information about them than the fading lettering in a Town Centre. 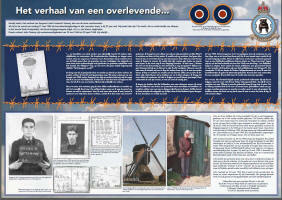 What a missed opportunity for a school history lesson or a Town project! I contacted the Ayrshire Post and asked them for their help. They were indeed very responsive based on this announcement. We are urgently looking for a photo of Maybole hero Sergeant James Kiltie, wireless operator from a RAF Lancaster ND956 - 166 Squadron. 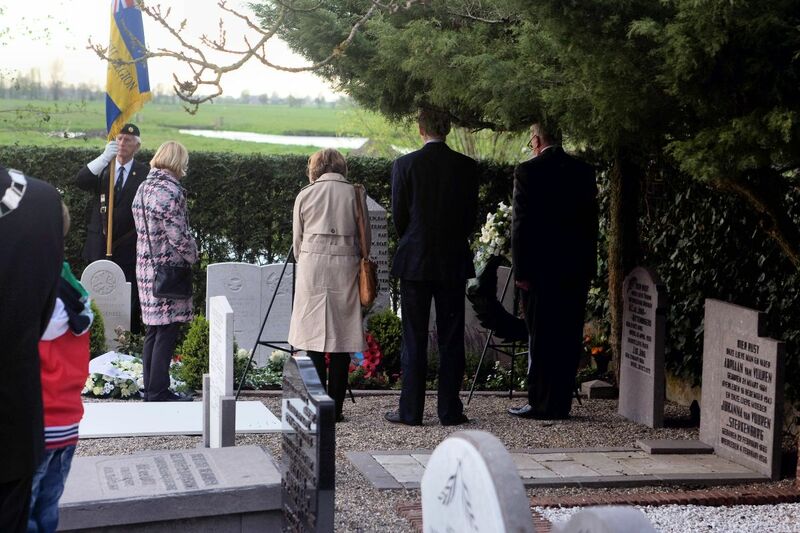 He and his crew were shot down in the night of May 21 - 22 1944, over Holland, as they returned from Ops over Duisburg in Germany. Andries van der Graaf and the people of Goudriaan are unveiling a Monument to the 7 crew Members on May 4 2013 - Five hero's that were killed that night, including James Kiltie, are resting in their graves in Goudriaan, a small village in the southern part of Holland. Two men were captured and were taken as P.O.W. 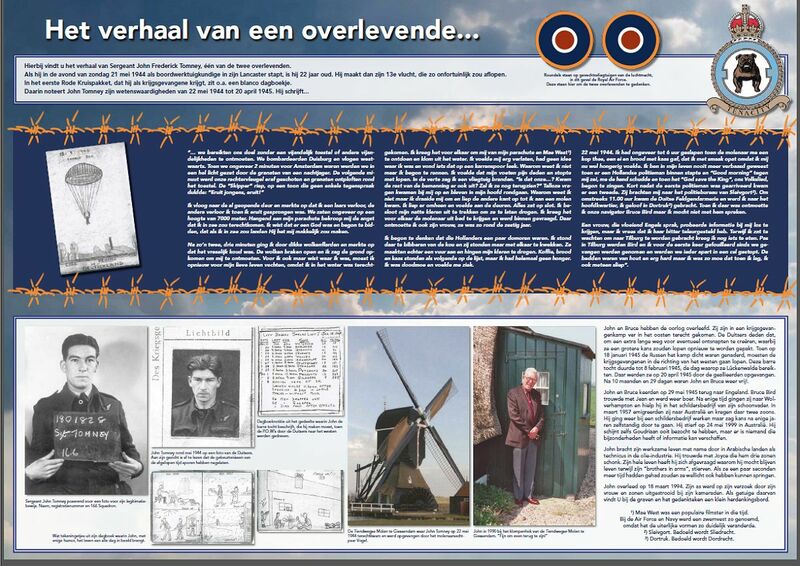 in Stalag Luft VII in Germany but came back to Great Britain after the war, five never did. Andries van der Graaf explains:"
"The people of Goudriaan always took good care of the graves" Now memories fade and those who have been tending the graves are themselves ageing. It is time to make future generations aware of these heroes so that they will always be remembered." 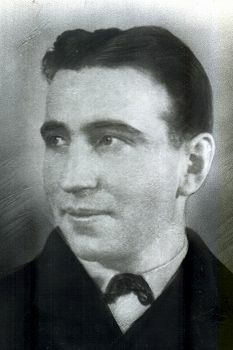 Andries has located photos of all the crew members (including Bruce Bird) only James Kiltie of Maybole remains missing. A fellow crewmember Jacky Moffatt is connected to Jane Knox's family through marriage. He was from Edinburgh and it is in this connection that she is involved and determined to find the missing picture ..
During this time David Kiltie of Maybole was unfortunately without email communication but came to our help as soon as he heard of our quest. Within a couple of weeks David Kiltie put us in touch with a niece and a cousin Linda Kiltie Stewart also gave much of the family background. What can we all say but an enormous thank you to the Ayrshire Post, David, Linda, Eileen and everyone for their dedication and perseverance in going to such lengths to get this photo. I just felt that Andries had come to me as a complete last resort and I did not want to let him down. We now know a little bit more about James Kiltie that his parents were from Glasgow; that he was a waiter at the Turnberry Hotel and that he had attended Carrick Academy. His address was confusing as the newspaper article of April 12 1945 gave his address as Weaver Vennel, Maybole.This was renamed as Ladywell Road, Maybole. 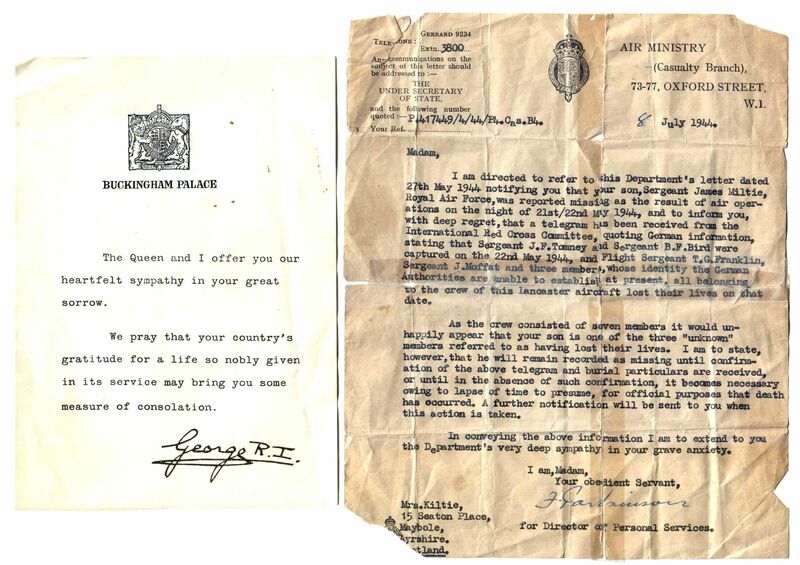 However, the letter addressed to his mother shows 15 Seaton Place, Maybole, Ayrshire.